Solid 4 star recipe if you make the broth a little more flavorful by adding an extra tablespoon of chile powder and the juice of a lime. The only change I made was to use mild New Mexico chile powder instead of guajillo or ancho powder. Served with chopped green onions, cilantro, extra lime, and sliced radishes. Having a family meal at home just got easier! 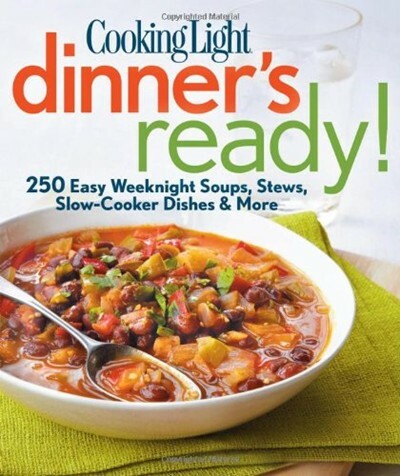 For a delicious dinner any night of the week, all you need is Cooking Light® Dinner's Ready! It's your foolproof go-to source for recipes that transform simple ingredients into filling, flavorful meals. Packed with 250 tasty dishes ranging from make-ahead slow-cooker favorites to quick-and-easy chicken, pasta, sides, and desserts. Dozens of ingredient and technique tips throughout to ensure superior results every time you cook. A nutritional analysis with each recipe to help you make smart, healthful choices that fit your lifestyle.